Awhile back the FDA raised the maximum number of somatic cells that Grade A goat milk can contain from the former limit of 1,000,000 to 1,500,000. Our state (Oregon) followed suit just this year and adopted the new limit for goat milk and also lowered the cow level from the FDA level of 750,000 to 500,000. While I applaud the cow levels, I am concerned about the goat levels. Just what are somatic cells and why do they matter? I have read and heard somatic cells in milk referred to as “pus”. This is not correct! Somatic cells (SC), by simple definition, are “body” cells. In milk, these can be normal skin cells (epithelial) shed by the milk ducts (more on that in a bit), portions of the cells (cytoplasmic particles), or white blood cells (leukocytes) that are present in order to fight off an udder infection (white blood cells are also present in “pus”). So let’s talk about why a healthy udder matters and the difference between the epithelial and white blood cells. First, udder health correlates with the animal’s health and wellbeing. If you believe in the humane treatment of animals, then this should be important! Second, milk produced by a less than vibrantly functioning udder will not be of superior quality – either for drinking or making cheese. A healthy udder is created and maintained by a nutritionally, physically, and emotionally balanced animal. (Yes, they do have emotional needs!). While I won’t be covering all of these needs here, it is important that you remember that they are the foundation for the production of superior milk). White blood cells migrate into the udder in order to fight off microorganisms that could cause, or are causing, an udder infection – the same job they do throughout our own bodies. When they are called to the battle front within the udder their presence is indicative of a problem. The problem could be unseen, meaning you can’t see any difference in the milk or the udder – no swelling, heat, clumps in the milk, etc. This is called “sub-clinical” mastitis and is the most common form of mastitis (udder infection). When a severe udder infection is present, it is called “acute”. Animals can suffer greatly from an acute case of mastitis – including loss of the affected part of the udder to gangrene or even death. Now, let’s go over one of the unseen differences between goat and cow milk. Understanding starts with remembering that the udder is a gland. The mammary gland, to be exact. All glands (we have lots of them – from our armpits to our stomach) secrete their products in one of three ways. Two of these are pertinent to milk secretion – apocrine and merocrine. I am not telling you this to add more words to your Scrabble game, but instead to explain some very important differences between cow and goat milk. Glands that secrete via the apocrine system also shed parts of the cell wall lining. Goats and humans secrete milk via the apocrine approach, while cows milk is shed via the merocrine system which keeps the secretory cell intact. Kind of cool, kind of gross, don’t you think? From this you can rightly conclude that goat milk will have a “naturally” higher somatic cell count (SCC) than cow milk (when cells are counted using the same method traditionally used on cow milk). What is a Normal, Healthy Somatic Cell Level in Goat Milk? So if goats naturally have a higher SCC, why am I concerned about the legal limit being raised? In my experience, which is not all encompassing of course, a SCC over 300,000 in our goats, means there is a very low-grade problem. How do I know this? Every month a person comes to our farm and collects a milk sample from each individual milking doe. This sample is then tested at a certified laboratory for many things, including SCC. If the count comes back over 300,00 then we march out to the parlor (as we already do twice daily) and do a California Mastitis Test (CMT) on that doe. The CMT will show the difference in SCC between each half of the udder (or each quarter if you are testing a cow). If they are different, then It is not normal, one side has a problem. By following this policy we have (knock-on-wood) never had an acute case of mastitis and or current herd average (from tests covering about 10 years) SCC is 104,000. Note: SCC are usually read MINUS three zeros. So 162,000 will appear on test results as 162. Anything below 1,000 is usually not counted and will appear as zero. I have always wondered if perhaps Nigerian Dwarf goats, our breed, have a lower average than the big girls. We have two full sized goats, LaMancha’s. Their average SCC are 109-125,000 (higher than our total herd average). The current average of all dairy goats in the states covered by our testing association is 625,000. When looking at the 2011 summary, where the data is analyzed from several standpoints, Nigerian herds average 121,000 while standard goats average 783,000. If looked at by milk production volume, does producing about 3,000 pounds of milk or more are the highest at 939,000. Herd size (meaning if you have only a couple of goats versus 31 or more) seems to matter as well, but not as much as milk production volume. So many factors may come into play, but I still have to wonder if this higher limit won’t have the unhelpful effect of causing some producers to ignore even more subclinical mastitis cases instead of jumping on top of the situation before it gets out of hand. Having known commercial producers who have gone from high counts to low by improving techniques and removing animals with chronic subclinical cases does make me feel that the higher limit is a mistake. What can You Do to Monitor Your Animals and Treat High SCC’s ? have recently added a common certified organic producer’s technique of orally dosing the animal with garlic “tea”. What a miracle it has been! We soaked peeled garlic cloves in water (be sure to keep refrigerated as botulism is a risk if not) then dosed the doe with 40-60ml 3x a day and her SCC went from 722,000 and 652,000 on the next test (the CMT showed a problem on one side) to, are you ready? One thousand. Yup. Garlic. Thank you! So no matter how you feel about the new SCC limit, I hope you will take your animal’s welfare and the quality of your milk so seriously that you will set your own standards. Try to not accept less than the best – no matter what the regulations say! This entry was posted in Animal Care and Health, Milk and Milking and tagged acute mastitis, California mastitis test, cow milk, garlic to treat mastitis, goat milk, mastitis, SCC, somatic cell count, somatic cells, subclinical mastitis. Bookmark the permalink. Thanks for this Gianiclis! I’ve really been wondering about SCCs and udder health and how to detect subclinical mastitis. Lots of great info here, as always! Sure thing! I am learning more all the time. Still amazed at how well the garlic worked. Outstanding explanation, if every goat milk cheese were made with such great milk. Thanks Neville, coming from someone like yourself, that means a great deal. I hope you are well. Thanks for the great article! Just wondering how many days you did the garlic at 3x/day? Hello Gianaclis, We have 4 Jersey cows and perform a daily RMT on each cow before milking to monitor SCC. We also routinely give our cows crushed garlic for the first 5 days of the month -this goes in the “moo-sli” feed we give them at milking. Just in case the milk becomes tainted, I always make my garlic hard cheese at that time (I usually add a little more garlic in the curd). As my cows leave the milking parlour, their breath is delightfully garlic and the resulting cheese is delicious and always sells well. In fact at the World Jersey Cheese Awards 2012 held in the UK on the island of Jersey, my garlic cheese from Dizzy (pedigree name Braidwood Disney Aura!) the cheese was awarded a silver medal! 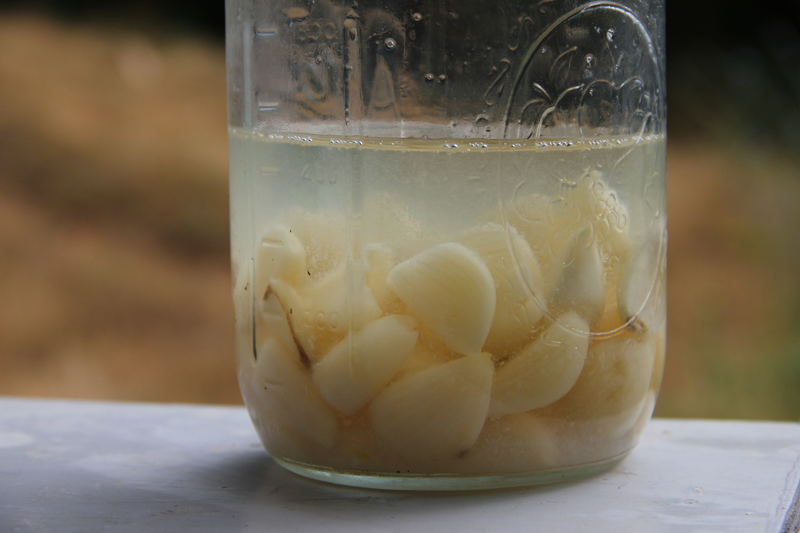 I was wondering how much garlic to water ratio and how long do you soak the garlic? Thank you. I fill the jar with garlic, then top with water. I replace the water used with more water and keep it in the fridge. As long as it smells obnoxiously strong, you should be okay! Can you tell me how I would go about having my goat’s milk tested? Or how to located a goat milk testing facility locally? Thanks! Hi Shannon, There are an increasing number of labs with user friendly ways for a small producer to get their milk tested. My new book, out in a week, The Small Scale Dairy, lists quite a few in the appendix. In addition (and not included in the book) many DHIA labs (where people on official milk production tests get their milk tested for fat, protein, SCC and more) will accept and test samples from anyone. For very cheap. If you need this information, let me know! Gianaclis I would love the information! After raising goats for 5 years on a very small farmstead I am moving over to a more holistic approach to their care and I am anxious to know that they are in the best health possible. I don’t have enough goats to justify having someone to come to me but I could make a trip with milk to them on a regular basis. Thank you so much – and I’m excited to get your new book! I so appreciate your help !! Where are you located, Shannon? I’ll find the DHI lab nearest you. 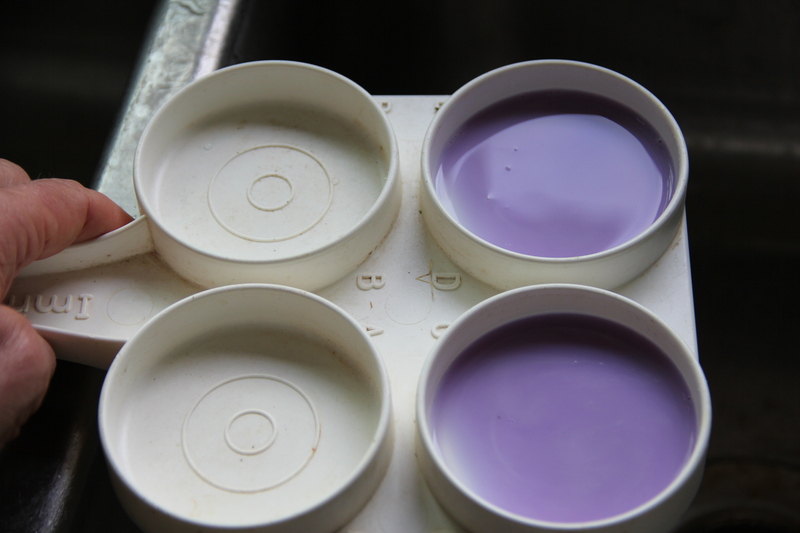 They won’t be able to do any other quality tests (such as for bacteria counts). They will send you vials (that include a preservative) and you will mail it back to them. Pretty easy. (not overnight). I’m outside of Charlotte, NC. Again – thank you so much!!! Here is a link to all the DHIA labs in the US. Contact the one nearest you and see what tests they do. http://www.dhia.org/members.asp Good luck! Nice article, thank a lot! Yes I also found (with my Ekomilk Scan+) that on a certain farm in Belgium with a common goat race, the cell count of healthy goat was actually low, around 100kcells/ml (100 000 cells/ml). So not so much higher than cows. Yes subclinical mastitis is a big issue, it creates serious milk production losses and often evolves to acute clinical mastitis. I need to check litterature for goat, but for cows there is a clear relationship with high cellcount and milk production losses (roughly, 10% production loss at 800 000 cells/ml). Thoughts welcome, feel free to contact me (www.EkoMilk.eu). Nice article, thank a lot! Yes I also found, using my Ekomilk Scan+, that on certain farms (e.g. in Belgium) with a common goat race, the cell count of healthy goats was actually low, around 100kcells/ml (100 000 cells/ml) or lower. So not so much higher than healthy cows I would say. Yes subclinical mastitis is a big issue, it creates serious milk production losses and can evolve to (or even be an early indicator of) acute clinical mastitis. I need to check literature for goat, but for cows there is a clear and well-known relationship between high cellcount and milk production losses (roughly: around 10% production loss at 800 000 cells/ml). Thoughts welcome, feel free to contact me (www.EkoMilk.eu). I have a first time freshener that had a postitive result on the test. Pretty jelly. I wish there was a good video that showed difference in the scoring (perhaps I’ll make one). She has been on garlic tea and garlic cloves for 2 days and an udder rub. She has always been hard to get anything out off. She has twins and we milk once a day and rarely get more than a 1/2 cup out of her (nubian) Her teats are small which makes it difficult. How long should i continue on this routine until I would resort to antibiotics? It seems to be getting better. I may need to do more rubbing on thr udder daily. Also, can you still drink thr milk when there is not acute mastitis? Whether you should drink the milk or not is hard to say, as it totally depends on what bacteria is causing the problem. That being said, since most people won’t know when there is a subclinical case (unless you check them everyday) the milk is usually used. That’s when the steps of ensuring super fast chilling come into play for safety. The goal is no growth of any microbes in the milk, that way if there are a few bad ones, they will stay low in numbers. This is the reason raw milk should also not be kept as long as pasteurized milk, as even when the milk is cold, pathogens can grow – just more slowly. Regarding how long you continue the treatments, that is also hard to say. Be sure you are also looking at her nutritional status and access to immune boosting minerals and vitamins. Oral probiotics are good to. It’s really good that her kids are staying on her to help her stay emptied out, as this is one of the best treatments for any type of mastitis. If you do a video on the cmt results, let me know!